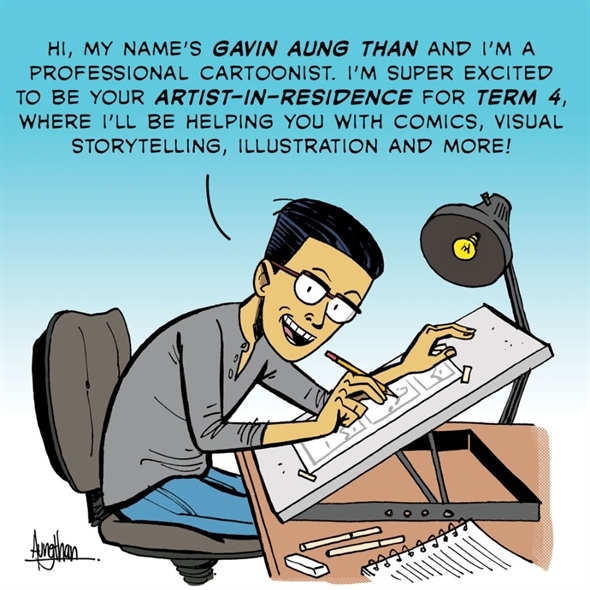 Gavin is the founder of ZEN PENCILS. Zen Pencils is a website of inspirational quotes/speeches from famous people which have been adapted to cartoon form by Gavin. Gavin’s website was picked as one of the 100 best websites and has since garnered a large list of followers who have been inspired by the quotes and his illustrations. Gavin has over 250,000 followers world-wide and has published a range of books – his latest ‘Creative Struggle‘ is another huge success! Gavin will be working at Bold Park Community School every Thursday in Term 4, he has generously offered to present at an evening event to tell his success story and will also spend a day in Term 3 getting to know the children. We have suggested some possible projects and opportunities for Gavin but we are also open to the organic opportunities that will present themselves across Gavin’s term with us!